Nature did its best and created every woman perfect. Feminine beauty inspires artists and it may even be the reason to start wars (remember Helen of Troy). Women throughout the world like to know the secrets to beauty by any means. It would be ridiculous to claim that beauty lies in the bottom of a makeup bag or it comes from mascara wands, but it certainly is like a flower that will always bloom with a proper care. One of the pillars of beauty is makeup that presents every woman an opportunity to be even more beautiful. All mentioned above will sustain the profitability of selling makeup online or offline for many years as a woman will always want to stay beautiful. Whether you belong to a type of women whose makeup bag can compete with a suitcase packed for a 2-months holiday abroad or you are a certified beautician, a cosmetic chemist, a makeup artist who has been dreaming of combining your love to makeup with your passion to make money, you’ve come to that point of how and where to sell makeup online. 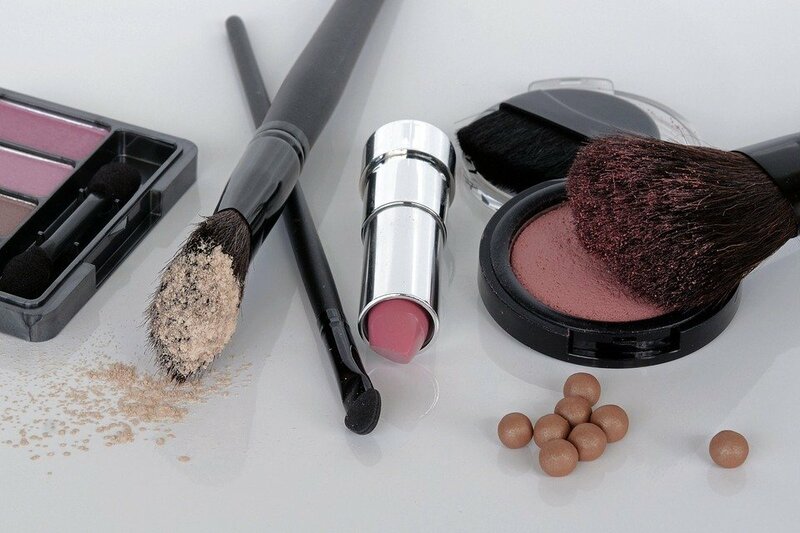 In this post, we'll explore how to sell makeup online regardless of whether you handled laboratory tests and passed certification procedure for your own private label cosmetics or simply found a great supplier. Market research? Of course, market research. Every article on the Internet devoted to starting a new business keeps telling about the importance of conducting market research not because the authors are in league with marketers or they try to follow trends in blogging. It is because of the fact that market research, indeed, is integral for any business. Makeup and color cosmetics: eye makeup, lip products, face makeup, nail care products. Skin care: cleansers, moisturizers, sunscreen, anti-aging products. Hair care and hair styling products: shampoos, conditioners, oils, masks. Oral and dental care products. Each region has distinct values when it comes to beauty products. You should take advantage of all tools Google offers to discover what your possible customer search online. Are you asking why use search engines while carrying out market research? You are going to sell beauty products online. Who else but Google can provide a glimpse into customers' intentions? 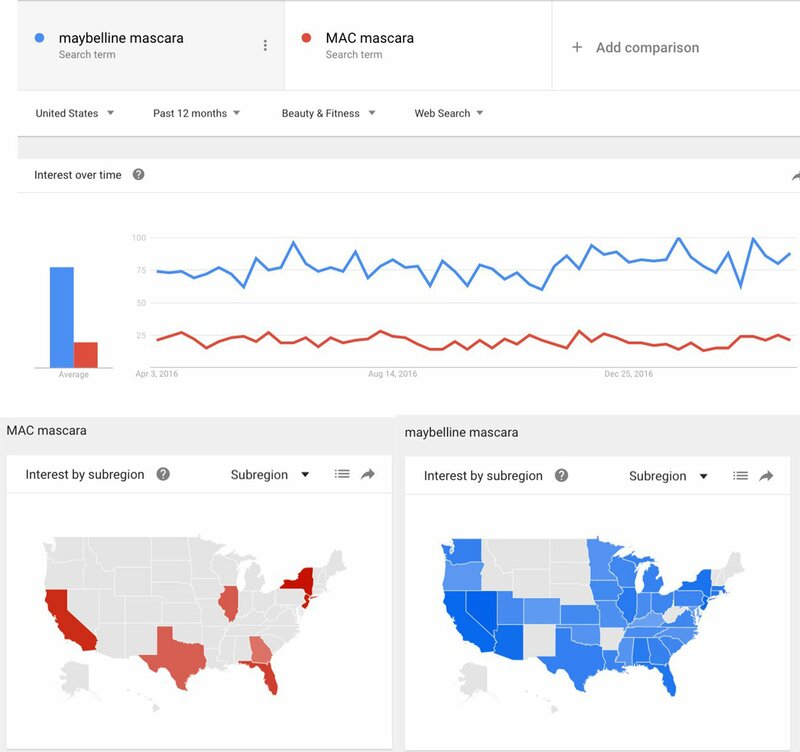 So, in order to understand what kind of cosmetic products and makeup brands are in demand in your region, it would be useful to gather information with the help of Google free services like Google Trends, Google Correlate and Think with Google. At least you may compare your thoughts with available statistics and improve your offerings. Do you clearly understand who you are addressing? Who is your ideal customer? What brands are in demand in your location? Who are your competitors? How are they represented? What trends exist in makeup? Selling beauty products proceeds on all fronts, from beauty salons and niche boutiques to hypermarkets. There are hundreds and thousands of brands. The market does not need a greater number of beauty products, but it craves for fresh new concepts. Innovation is welcomed, but your business selling makeup online doesn't have to be revolutionary to succeed. It is possible to make business in an already crowded market and even with the presence of major players on it if you understand how to distinguish your business and struggle for customers, not against competitors. Think of construction toys, search engines, lighters, sportswear, coffee chains. What names spring to mind? What is the common link between the trademarks people love? They are focused on a specific audience, they understand what their audience need, they are consistent and they all have unique stories behind. Therefore, thought should be given to building a brand at the very beginning. Global vision. If you make plans to widen the range of products and to expand geographically with time avoid using specific product or location in your business name. Easiness. Doing one thing properly is better than doing lots things a bit. It is the best way to stand out. If you decided to sell makeup don't sell shoes, otherwise, your customers will get confused. Logo. Design a logo and place it everywhere: products, website, promotional materials, packaging. Values and principles. Every employee should know which values your company has and how it position itself. Be true. You should have confidence in ideas you've got. It is the only way to gain the trust of clients. Create a brand “voice”. It should be included in all means of communication with customers. Is your brand friendly? Or more official? Building a strong brand is not an easy but very important task. Think of it as of creating something great.A beauty product by itself won't give you an edge over competitors. The success will come when you define your company and its position on the market - build a brand. What competitive edge does your brand give? What are the emotional benefits you want only your brand to deliver to people? What personality will your brand have? What makes people buy your brand? One of the special characteristics of a cosmetics market is that women don't follow one single beauty product line. If you open a purse you will find there something from Dior, something from Chanel and many other brands. A woman can never have too many makeup products, she is always curious enough to try something new. That is great news for those who are going to sell a new brand. However, you sure cannot sell each of the existing brands. Do you want to build a successful business in the world of beauty products? Then don't work with amateurs and avoid fakes. Make a list of the beauty brands you would like to sell on your online storefront and explore their terms. Get ready for unforeseen circumstances - delays, mistakes. What are your payment terms? Are they negotiable? What is a minimal order? What determines changes in prices? How will you handle returns? Are their sales reps helpful? Although the packaging of beauty products is generally regarded as the way of protecting goods against the influence of the weather and damages during transportation, being one of marketing tools it plays a large role in the process of transferring product information to a target audience. The right packaging design makes promotion much easier: improves product recognition, helps to position the product, creates a competitive advantage to a firm. It is also an inseparable element of a brand. Just like clothes, hair, a facial expression of a complete stranger may tell a lot about his character, lifestyle and social status, packaging makes the first and the strongest impression on a product to consumers. In an ideal world, the shape, material and design should be harmoniously combined as well as be consistent with the concept of a product, because it is the packaging that people feel and see when they pick a product. Is your secondary packaging safe enough to prevent products from damages during transportation? Is your logo posted on a secondary packaging for transportation? When it comes to selling anything online, the first question is where to sell. Of course, the best place to sell makeup online is a personal website. Nowadays, with a variety of online store builders, anyone - a student, a dentist, anyone can launch a site within 15 minutes. The most frequent mistake of those who are just starting an online business is a huge waste of time on choosing an ecommerce solution. Having a simplified version of a website is better than having nothing. 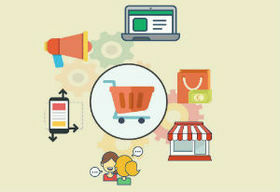 Those who think that their ecommerce website is their business are mistaken. A site is a tool for selling. The sooner you start a website the sooner you understand how it works and what you need. You should understand, if something doesn't work, it's not a disaster and your business won't die. You need to make changes and try again. Is your domain name internet-friendly? Do your descriptions sell, not just describe characteristics? What is written on "About Us" page? 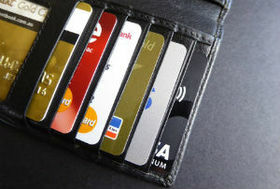 What payment systems will you use? Do you know what SEO means? How can SEO be helpful for your online business? Remember, you don't have to be the biggest to be successful. You have to be unique. Hope this article will help you make informed decisions while starting up your own makeup business. Start small and never give up.